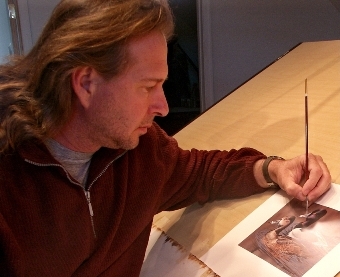 Museum Quality Painting by the renowned 42 Duck Stamp Contest Winner, Richard Clifton. Ashley's has a nice collection of Richard Clifton originals. Acrylic painting on hard masonite type artist board. Approx deluxe framed size: 28" x 16"
Richard Clifton is a wildlife artist who chooses acrylics as his medium. Favorite subjects include waterfowl, songbirds and birds of prey.